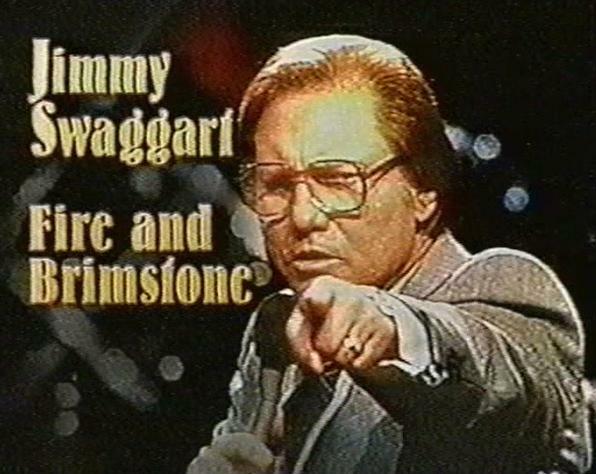 Jimmy Swaggart – the man of the hour – called of God to preach/teach the uncompromising Gospel of Jesus Christ to the world. His musical talent and fiery brand of preaching was truly a magnet to the masses: it won him a huge television audience and great personal wealth. But then came the problem. This documentary chronicles the story of his success, his exposure as a hypocrite, and the disillusionment of those who had looked to him for spiritual leadership. 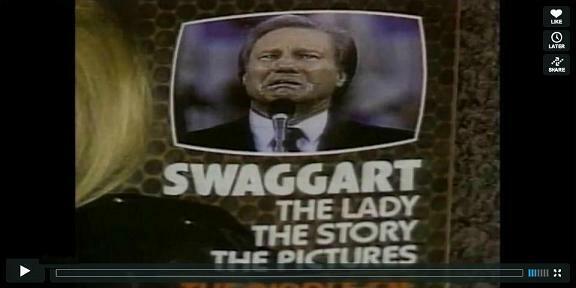 The archival television footage presents Swaggart in his glory days as well as that moment in time when he admitted his sins. The documentary aired on The Biography Channel on 5/10/2001. [©2001 A&E Television Networks, All Rights Reserved.] 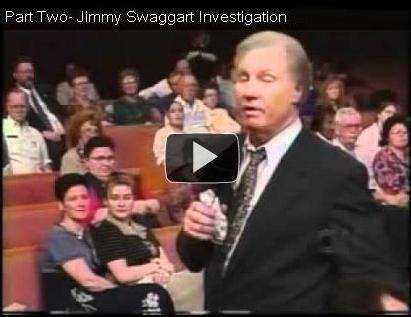 For more on Jimmy Swaggart and the error of his ways, which includes the error of the "Cross of Christ" he preaches/teaches, please check out the information at http://www.fmh-child.org/JimmySwaggart.html. 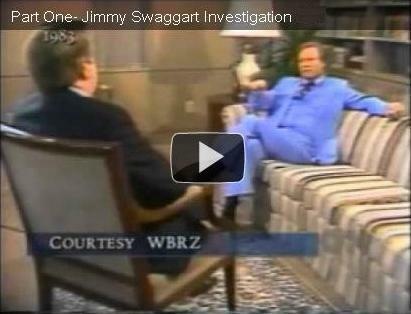 Investigative journalist Art Harris presents his exclusive story on Jimmy Swaggart (taken from his CNN expose "Godfathers Of The Gospel"). Included in this documentary (filmed shortly after Jimmy Swaggart's exposure) is an incredible interview with his prostitute - Debra Murphree. Award winning investigative journalist John Camp exposes gross misrepresentation of ministry funds and continuted allegations of sexual misconduct ten years after the fall of Jimmy Swaggart.